Green River flows are at record lows, but fishing and floating are still good. Daniel area best. New Fork is also at a record low and fishing is very difficult. High country lake and stream fishing still good. Play fish fast and give plenty of time in releasing for best survival in these high temperatures. The Green is at an all time record low. The river is running 270 cfs at Warren Bridge. The fishing remains good and the floating is good. The river is skinny in spots, but you can still float in the Daniel area. Hoppers and terrestrial patterns are working best. During the mid day lulls, small dropper nymphs are good. The water has been warming up in the afternoons, so handle your fish carefully. The less strain you can put on a fish in these conditions, the better off they will be. On good cloud cover days the streamer fishing is good. Rubber leg patterns like Zuddlers have been best. The larger fish are holding tight to structure so good casting is a must. The New Fork is also at an all time record low. Most of the structure on the river is under-cut banks; the river is so low there is no structure left. Fishing it is almost impossible. The high country is very dry. There is a partial fire ban on issue from the Forest Service. 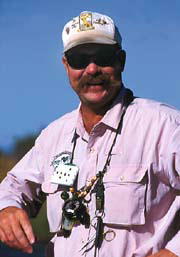 The fishing remains good in the lakes and streams. Small hoppers and beetles are out in full force. There are also flying ants. Dry fly fishing is good, but there are mid day lulls like everywhere else. If you are float tubing the high country lakes, small woolly buggers in a variety of colors are great. Fish them deep as the water is warming up there also. Remember to play your fish fast and give him plenty of time before releasing him. The chances of survival is much greater if you revive a fish twice as long as you play him in these temperatures.